Britain has pioneered a tradition of gritty reality documentary production both for TV and for cinema distribution. This is often called social realism, or the social documentary tradition. Documentary filmmakers choose to tell a real life story, and present it as a storytelling experience, rather like a visual document for the viewer to experience, and similar to the experience of watching a feature film. Often the subject is sad, or shocking, and this makes the subject matter more uncomfortable. 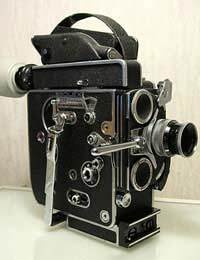 The documentary maker might have their own opinion about the subject matter or individual, or there may be enough in the story without presenting an opinion within the film's style itself. This is done through use of filming angles, interviews, colour or black and white style (or a range of other effects), and the presence of the filmmaker within the story, as well as the editing of the film, which is a separate art itself, within the filmmaking genre.Ultimately, if the film provokes a reaction in the viewer, of whatever kind, for or against the subject, then the filmmaker has succeeded. Two of the most important names among many in this field are John Grierson (1898 – 1972) and Humphrey Jennings (1907 – 1950). Grierson, through the Empire Marketing Board (EMB) made a film called 'The Drifters' (1929) about the North Sea Herring Fishermen. This was the first state-run film company, making state of the art anthropological films about life in Britain. Jennings made a film titled 'Fires were started' (1943) about auxiliary firemen, which is highly thought of still. He also made a series of short films exploring life in Britain during the war, in particular, looking at the resilient spirit of British people – surviving while bombs fall all around them. This recent documentary on ITV was highly controversial, but for the wrong reasons.In a decade-long project, filmmaker Paul Watson filmed the steady decline of Malcolm Pointon, who was diagnosed with Alzheimer's disease in his fifties. The terrible ravages of the disease upon Malcolm's memory and ability to function, and particularly the effect this had on his wife Barbara, who persevered in her love for her husband and her efforts to care for him until his death, made compelling, yet at times distressing, viewing. Unfortunately, ITV courted controversy for the film in it's publicity, by saying that it showed the final moments of Malcolm's life. Had that been so, this would have been only the second time on British TV that this was shown. However, Paul Watson stopped filming as Malcolm slipped into a coma, surrounded by his family. This unnecessary controversy takes away from the fact that this brave documentary is so important as a film and as a witness into a slice of real life.